March | 2014 | Pedal Dad! I had a couple of spare hours in London today between meetings so went on the search for a cafe with WIFI to grab a coffee and get some work done. 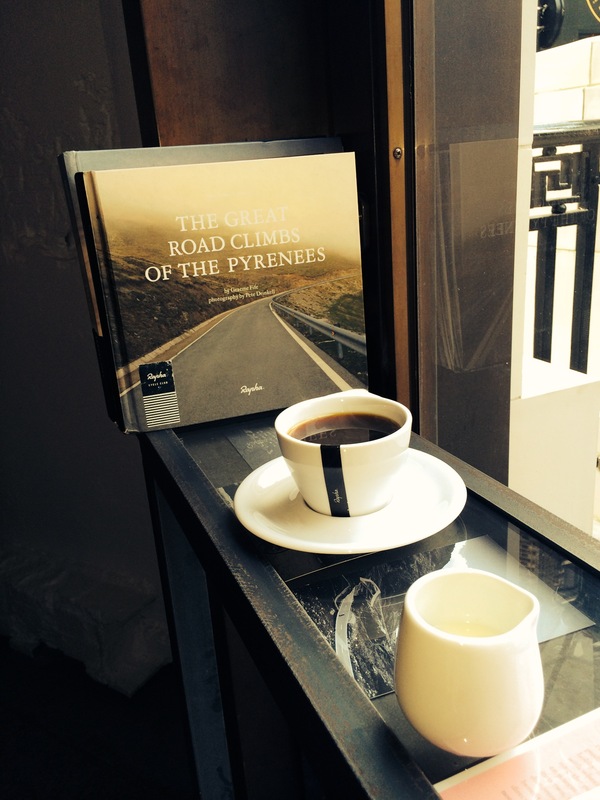 The only place to head for in these situations is the Rapha Cycle Club on Brewer Street. It has to be the coolest cafe in the country! The cafe itself has been refurbished since I went last year. They’ve preserved the wooden floor and basic furniture but created a little more space without compromising the boutique area devoted to selling the excellent (but pricey) Rapha kit. As you walk in you know this is the real thing from the customers bikes hanging on the vertical racks by the door and the enthusiastic nature of conversations between customers and staff. Recommended the filter coffee (which was good) I grabbed a window seat to log on to the laptop. Even the WIFI code is cool – named after Il Pirata himself! Being surrounded by like minded cyclists taking in the atmosphere was a really conducive work environment and I flew through a few days backlog of emails. If I hadn’t been so busy there would have been plenty to occupy me. The hum of the espresso machine and general cycling chatter were accompanied by the live TV commentary of todays Volta a Catalunya. My window seat was furnished with a number of cycling related books and other tables were littered with the latest copies of Rouleur and other cycling magazines. If you’re an avid cyclist like me, the entire ambience of the place is an ideal space to spend an hour next time you’re passing through. I recommend the filter coffee (even the coffee cups are cool)…. It was Sport Relief weekend last week, so I registered the family in for the Sport Relief mile in Broughton Astley, a village (town?) near us. Two years ago I did the 6 mile run but this time it was on a Sunday afternoon so presented a good opportunity to get the girls involved. Due to the rest I’ve taken for my shin splints, in the end I stepped up as chief supporter and coat carrier for the family. Mrs G and the girls were accompanied by my brother-in-law and his kids too so it turned in to a right old family event. The kids got stuck in to the warm up, which was well needed with a cold northerly wind blowing across the recreation ground where the race was being held. I’m sure some of the adults were getting worn out whist the warm up instructor cajoled them in to action but the little ones loved it and joined in whole heartedly! As they lined up to get started the sun shone and I took position to watch them sprint out at the start of their first lap. My eldest and her cousin flew past me like Usain Bolt and I was certain that they’d both be burnt out after 50 yards, but with a cheer and a wave they were off. Mrs G set off with our youngest at a slightly more conservative pace and I settled down on a park bench with my cup of tea. It wasn’t long before the first pair passed by my seat and then I could see my daughter making her way towards me. I gave her a shout and a cheer from afar and saw her pick up her pace, get her fast hands moving and grin from ear-to-ear as she sprinted over towards me. She was bouncing along nicely, really relaxed and enjoying herself so set of on her second lap without delay. Her cousin was soon along too and there was a little delay as I waited for the others. Runners of all shapes and sizes came and went, each of them getting a generous cheer and a clap. When Mrs G and number 2 came through I wasn’t sure if the little one was going to carry on, but she’s a determined little soul and was clearly going to finish what she had started. 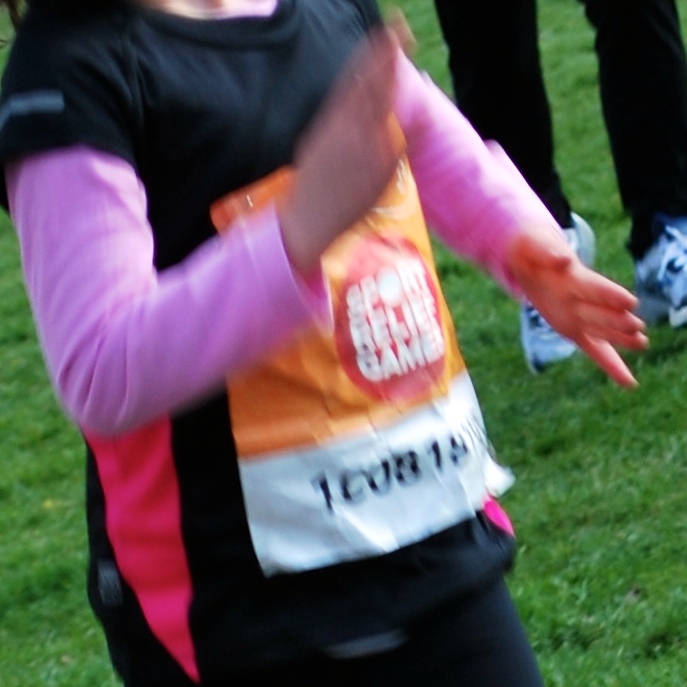 In what seemed like no time, Isla was coming back around to complete her second lap. She still looked fresh and sprinted the last 100 yards, only hesitating to check what to do as she crossed the finish line. As she grinned through the finish I was overwhelmed how she was so calm and comfortable. She strolled in to the finish tent, collected her medal and a bottle of water, thanking the helpers as she went, before getting a bear hug from me and kissed on her rosy red cheeks! Her cousin came through next and his cheeks were just as flushed as he carried his fleece in his his hands across the line. Then came Paul and my little niece before Mrs G and the little one jogged/walked in to sight. Apparently there had been a couple of delays when they stopped to pick daisies for grandparents, but other than that they’d kept moving all the time! A few photo’s followed with the (now standard) pose of the kids biting their medals. We were soon all reminded that the wind was still whistling across the rec, so hastily beat a retreat to the cars so we could get back home and resume our lazy Sunday afternoons! Training Turmoil – Help Needed! I’m sitting on a train coming home from London writing this and it is now time to face up to the fact that I need a bit of help. I need help to salvage a 16 day training plan for the Brighton Marathon! Sundays training run didn’t go to plan and I’ve spent the last 48 hours trying to work out why. I was going well until about 16 miles when the tightness in my quads and calves really took its toll on my stamina. After 19 miles I slowed to about 9 minutes mile pace and finally chucked in the towel after 20ish. Many top sports people deflect the reasons of under performance on to things outside of their control as a way of maintaining confidence in their self ability. 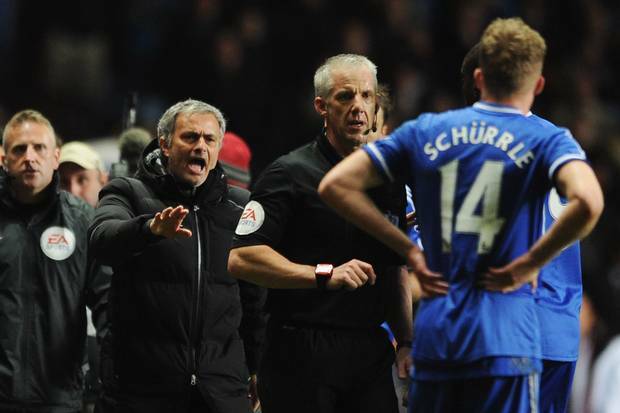 Just look at Jose Mourinho at the weekend blaming Chris Foy, the referee for Chelsea’s defeat by Villa. I didn’t take any gels and tried flapjacks instead. These work well on the bike but the one I tried after 15 miles made me choke because I was dehydrated and had no saliva to help it slip down! But my biggest worry is that my legs tightened up a lot and very early on. I’ve not been running much because if the shin splints I’ve suffered from for a few weeks. But now I think I’m caught in a viscous circle. I’m limiting my running to ensure that the pain in my shins doesn’t get debilitating again, but because I’m not running my legs tighten up after a couple of hours due to working my muscles in a way they are not training for. At least that is my theory. Does it stack up? This is where I need some help. How should I train over the next 16 days? It’s Tuesday evening now, my legs still ache and I’ve got pain in my shin. I might try a run tomorrow evening depending on how my shin feels. But what should I do now? I’ve got a half marathon booked in as part of my tapering on Sunday and am keen to do this as a confidence booster, but don’t want to do any damage. Wait for the shin to stop hurting and do several shorter runs for the next 2 weeks. Limit these to no more than 8 miles but mostly at 4-6 miles? Supplement this with longer, stamina building bike rides of 3-4 hours over the next 2 weekends? Continue cycling during the week and do the half marathon to see if Sunday was a one off and hope that my condition is not deteriorating by doing this for a second week? Total rest from running for 10 days followed by a 10 miler the week before the marathon and a recovery run? Or another option that I haven’t thought of? All and any opinions or suggestions are most welcome at this stage….. other than not doing the marathon because that’s not an option. After 2 weeks of relative inactivity, today was the day that I got back in to proper training. Any of you that took the time to read my post about shin splints know exactly why I’ve had an enforced lay off from running. Besides a short run on Tuesday I’d not ran since covering 20 miles 2 weeks ago so I was slightly anxious about todays 19 miler. As always, I was really appreciative to run the first part of the route with Jim and Leanne. The sun was out and we chatted away whilst cruising our way around some country lanes to cover 11 miles before they peeled off. I’d got another 8 miles or so to cover on my own and carried on at a steady pace alone. 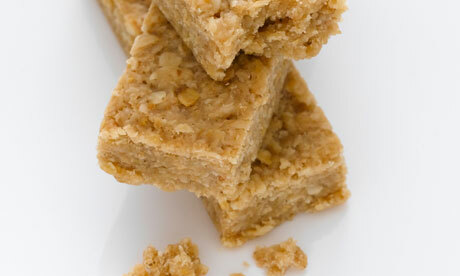 I tried an energy bar instead of a gel today, I wouldn’t recommend it! Not only did it look disgusting after melting in my pocket for 90 minutes, I didn’t have enough saliva to swallow it so used up most of my water to get it down! That proved to be the only real hiccup of the run though. I covered the remaining miles at a steady pace, kicking myself a little about not taking enough fluid out with me, but largely OK.
My calves tightened up a little and my feet burnt in my new shoes, but my pace only slowed in the last couple of hilly miles so I was well happy when I got home. But as I sat with ice on my shins whilst flicking through Facebook and Twitter, a funny sensation came over me …. I felt really emotional! It doesn’t happen very often and is always linked to other peoples sporting achievements (Mo Farah, Sports Personality of the Year, Rocky II) and the thing that really got me was thinking about my brother-in-law who is training for the same marathon as me. It’s the first time he has done anything like this and from a standing start he is doing brilliantly. He’s lost 2 stones and has gone from running 10k to 19 miles in the last few months. When he finishes the marathon he’ll have achieved something immense and I feel very proud. I find his journey deeply inspiring and today had watery eyes whilst typing a note to tell him so. I’m sure that emotions are frayed when you’re exhausted. I recall training for London 5 years ago and having a bit of a moment whilst having a shave after a long run. But it’s a strange experience to feel overwhelmed when you’re unaccustomed to it … this is definitely not a smooth journey! Does anyone else have these sensations after a long run or ride? After a hot shower, a couple of pints and a good dinner I feel back to my normal self but will remember how I felt today and use it to balance out any other wobbles over the next few weeks.